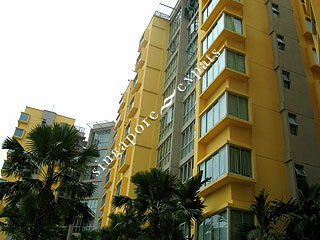 The Eden at Tampines is a executive condominium located in Tampines. Amenities are aplenty with the Tampines Mall, Tampines Town Centre located nearby. Since it is located in a HDB housing estate, residents can also enjoy the convenience of shops, markets and schools located near the condominium. Changi International Airport is within a 8 minutes drive away, via either the Tampines Expressway TPE or the East Coast Parkway ECP. It is a long drive to the city though, about 20 to 25 minutes drive via the ECP or a 45 minutes train ride from the Tampines MRT Station. Located in a quiet part of Tampines, close to schools and ammenities. 10 minutes from the airport and new Technology University. Nice environment for family with children. Suitable for people who work in the East. Convenient.